Cheika (c) gives instructions to his players. And while Broun was primarily talking about mental fortitude, the identity of Stuart Lancaster’s England was firmly exposed by a fantastic Australian performance. It will be somewhat of a fitting epitaph to Lancaster’s regime, should he lose his job, that the final try was scored by Matt Giteau, a Toulon player who the ARU relaxed selection rules to enable him to play in Michael Cheika’s squad. Lancaster, both to his credit and detriment, steadfastly endorsed such a move to get Toulon flanker Steffon Armitage into his set-up. Instead, the England head coach persevered with a disjointed back row with captain Chris Robshaw – a No6 by trade – as openside. Fitting too then that David Pocock and Michael Hooper should make such a mockery of it. Totally dominating the breakdown with turnover after turnover, destroying any foundations England were hoping to build. Just 12 months ago the Wallabies were in disarray following Ewen McKenzie’s shock resignation as head coach. Eight of the 15 that started at Twickenham were in the side for McKenzie’s last game, a 29-28 defeat to New Zealand. Despite retaining half a team, it’s further testament to Cheika’s work in such a short space of time that 1999 World Cup winner Joe Roff remarked on OSN Sport it was the most complete performance by an Australia side in recent memory. It was a bold call to leave out the likes of Christian Leali’ifano, James Horwill, Wycliff Palu and Dave Dennis from his selection; experienced individuals with known international pedigree. But Cheika has built a team of its own identity and with his coaching experience in Italy, Ireland and France as well as Australia, it’s a side with a bit of everything. Australia haven’t had a consistent No10 since the days of Stephen Larkham, yet Cheika, drawing on his three seasons working with Bernard Foley at the Waratahs, clearly knows how to get the best out of the 26-year-old. With two stunning tries against England and 28 points it was, by some margin, his best display in a Wallaby jersey. “The scrum” is traditionally the two words that follow a question regarding any glaring weaknesses in any Australian team. Time and time again, for all their backline ingenuity, they’ve been exposed up front. Not any more. Mario Ledesma has done the seemingly impossible and turned the green and gold pack into a scrummaging machine. They obliterated England. In a northern hemisphere World Cup, a team is unlikely to emerge as champions without a solid base. As obvious as it sounds, Cheika knew that and has addressed it. The return of Pocock from long-term injury did present a selection headache but Cheika has managed to work both him and Hooper into his backrow. They were everything England weren’t at the breakdown: committed, disciplined and clever. Up until July, Hooper was Australia captain. Yet the 23-year-old has happily made way for Stephen Moore with minimum fuss. In Moore, Hooper, Pocock and Will Genia, a team, often consumed by ego, now has four players who have captained their country, while the likes of Giteau, Adam Ashley-Cooper, Dean Mumm, James Slipper and Israel Folau have all either led sides domestically or operated as vice captains. In short: a team full of character. 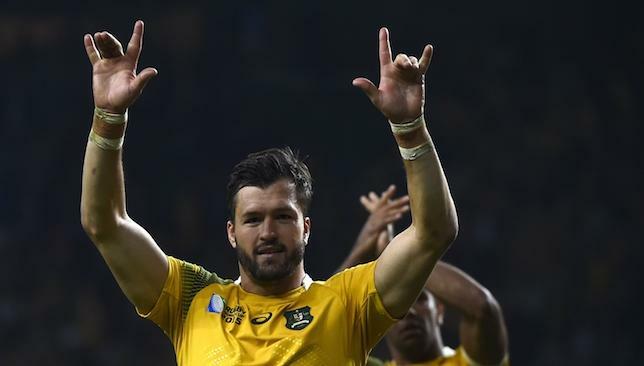 Adam Ashley-Cooper insists that Australia will not get ahead of themselves after dumping England out of the World Cup and underlining their own title credentials. The Wallabies return to Twickenham on Saturday for a Pool A decider against Wales with the winners are likely to secure a last-eight clash against Scotland or Japan, while the losers face a probable appointment with South Africa. “In every game we play we build on that self-belief. There is a lot of it in the team, but we haven’t won anything yet,” Wallabies wing Ashley-Cooper said. “We are gaining a lot of confidence with the wins, but we don’t want to get too far ahead of ourselves. We have got a big Test match against Wales coming up, and then a quarter-final after that. “We all want to be world champions and it is a matter of improving each day. It was a special win, but as soon as Monday comes we will be preparing for Wales. Wales have lost their 10 Tests against Australia – seven of those defeats were by six points or less – which suggests the Wallabies have a clear edge. Fly-half Bernard Foley amassed 28 points, including two tries, while centre Matt Giteau administered the final blow by touching down during the closing minutes as England were crushed 33-13. 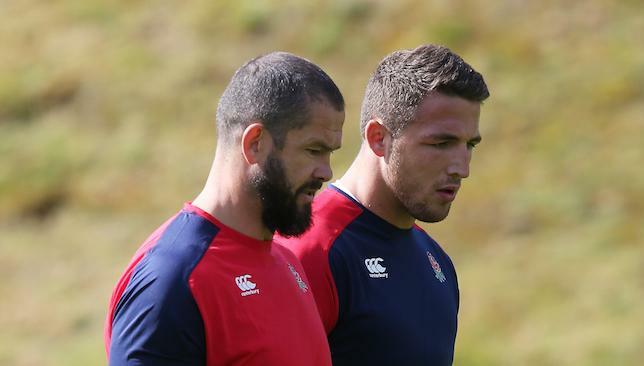 England’s failed World Cup unfolded against a backdrop of disquiet over the influence of Andy Farrell and Sam Burgess’ presence in the squad. Reacting to the 33-13 defeat by Australia that dumped the hosts out of the tournament, head coach Stuart Lancaster declared there is “no division in the coaching team” and stated that the final decision in picking the side was his alone. However, it is known that misgivings were harboured within the squad over the power wielded by backs coach Farrell, both tactically and in selection. It was felt that the rugby league great and not Lancaster was in effect running England. The determination to include Burgess in the World Cup squad and then name him in the matchday 23 was divisive and Farrell was seen as the driving force behind the 26-year-old’s elevation. Outside the camp, Burgess’ rapid promotion 10 months after switching codes from rugby league has been viewed with amazement and appeared to have been based on one solid yet unspectacular display against France in the first warm-up match. Henry Slade excelled during the same game yet was never under serious consideration for the 28-25 defeat to Wales. The management repeatedly pointed to Burgess’ performance during the gruelling 10-week summer training camp to justify his participation, but their faith was not shared throughout the playing squad, it is understood. Luther Burrell, an ever present under Lancaster over the last two years, lost out on selection for the final 31 to Burgess and there was sympathy for a player who had been overlooked because of the perceived aura and big game experience of his rival. Spotlight does have to go back on Rob Andrew. In situ at RFU since 2006. Key in appointing Lancaster. Earning over £400k a year. The future of Lancaster and his assistants Farrell, Graham Rowntree and Mike Catt are in grave doubt and the inquest will begin once the World Cup is over, although RFU chief Ian Ritchie has refused to outline a timescale or format for the review. The position of Ritchie himself is equally precarious having appointed Lancaster and taken the bold step 12 months ago of awarding him and his lieutenants new contracts to run until 2020 despite the failure to win any silverware of note. When asked if there would be change, Ritchie said: “Absolutely. We’ve spent a lot of time looking forward over the last two to three years and now we need to look at what we need to do next.